Our range of products include automatic block machine, fully automatic concrete brick making machine, block production line, chirag hi technology hollow block machines, chirag brand new solid block machine and chirag high grade hydraulic block making machine. 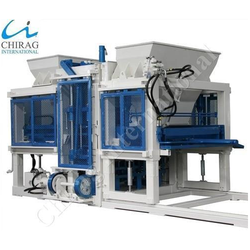 Chirag Hi Technology Hollow Block Machines offered are made available in compliance with defined industry standards and is based on advanced process technology as well as use of premium components that make these match up to the process needs of the customers. 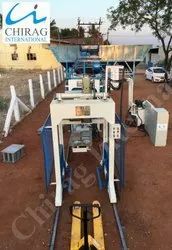 We make these machines available with wheel support that allows their easy movement after laying of block on concrete floor to next laying space. 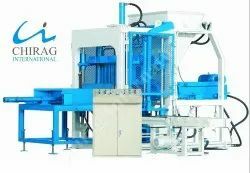 We hold expertise in offering an exclusive range of Chirag Brand New Solid Block Machine to our clients, which is made using best grade raw materials and advanced technology. These are highly demanded for its special features optimum performance and corrosion resistance make it highly demand able in the global arena. We meet the bulk demand of clients within a committed time frame.Price Range: Rs. 14,00,000 and Above. 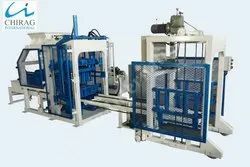 Chirag Brand New Solid Block Machine Introduction:Chirag CI3-20 is a new type of semiautomatic block machine that is specifically design for small and medium-size enterprises. Chirag Powerful Performance Paver Block Machine offered by us can be used for making all types of construction material such as Chirag Powerful Performance Paver Block Machine fly ash brick, concrete block, interlocking brick, interlocking block, interlocking paver etc. Chirag Mega Technology Block Making Machines offered by us can be used for making all types of construction material such as fly ash brick, concrete block, interlocking brick, interlocking block, interlocking paver etc. Chirag Mega Technology Block Making Machines This model has been applied for the patent protected by state laws, counterfeiting is not allowed (Patent No.201220242625.7). Looking for “Automatic Block Machine”?